Hello lovely LDV readers! 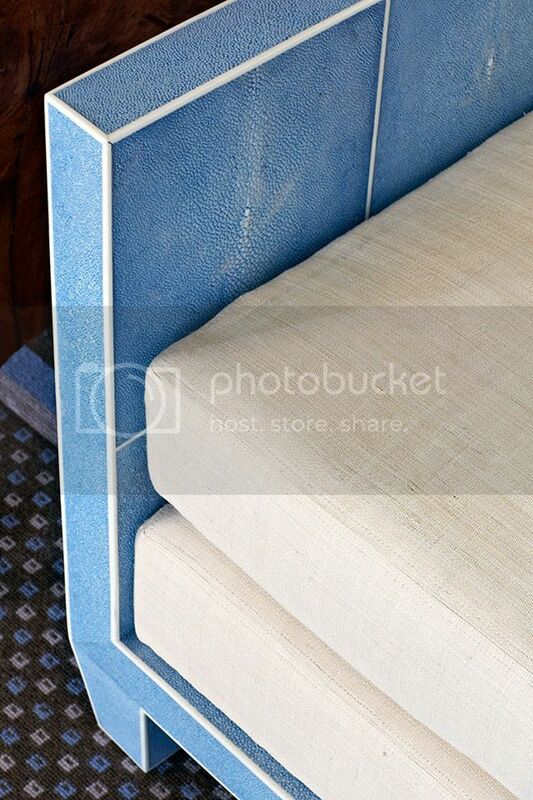 Nancy of Marcus Design here with a Dissecting the Details post for you today. I’m highlighting the fabulous designs of Toronto-based designer Anne Hepfer. Anne has the perfect formula for a stunning entry way, and here I will demystify 3 elements she utilizes to accomplish this polished look. Nothing is more appealing to the eye than a symmetrical space. 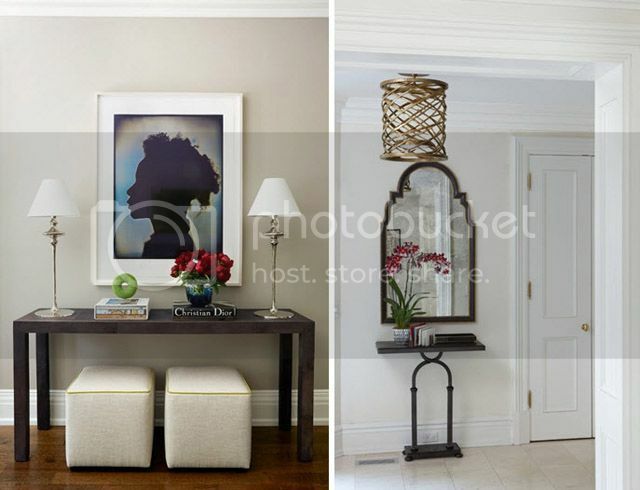 A flanking pair of chairs, lamps & sconces, or even bookcases can create the look. 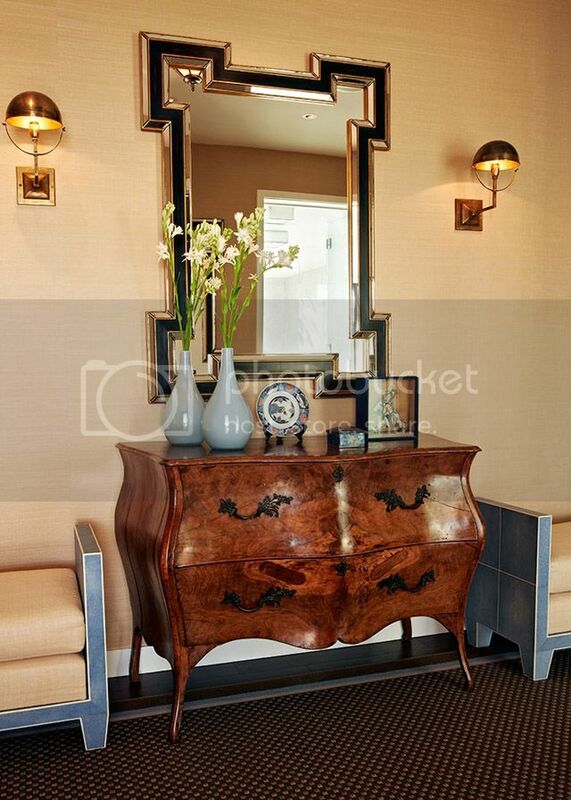 Whether it’s linen or leather, the pieces in these foyers add a lovely texture to the overall design. 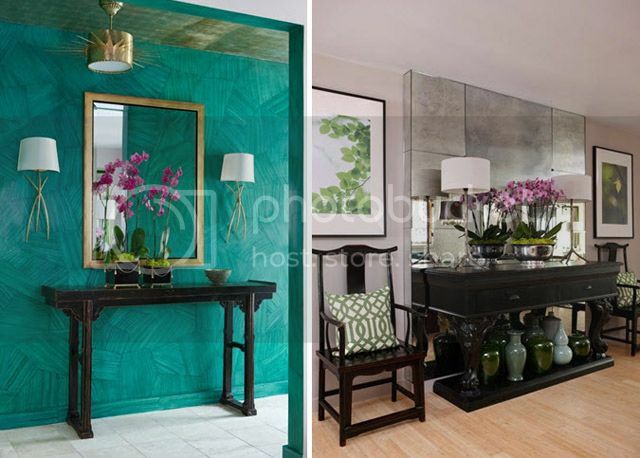 I love that Anne also juxtaposed shiny lacquered walls against the raw texture of the python table in the first image; that kind of tension creates so much interest! 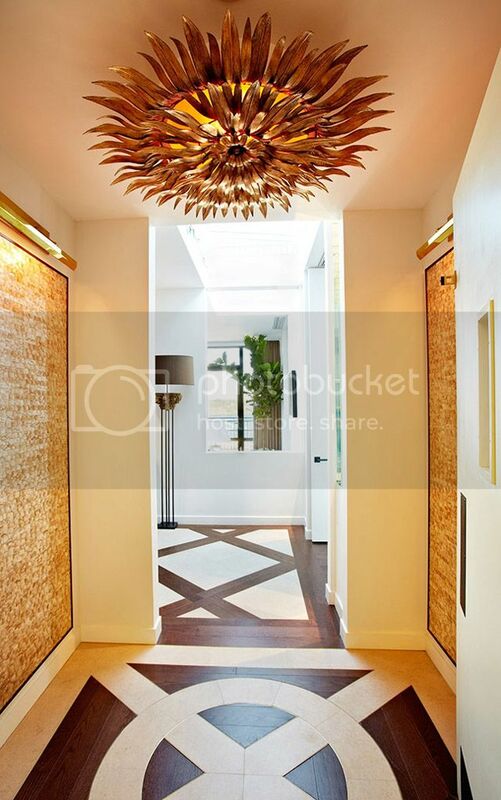 Whether it is a single show-stopping piece, or a pair of dramatic & over-sized lamps, the lighting in the entry way really sets the tone for the rest of the home. I actually favor layering the lighting by combining overhead fixtures with table lamps! If you look back at the lovely image at the very beginning of this post, you will find all three key elements seamlessly combined – bilateral symmetry, textured furnishings, and dramatic lighting for an overall stunning space. To see more from Anne Hepfer, visit her portfolio here. Gorgeous ! 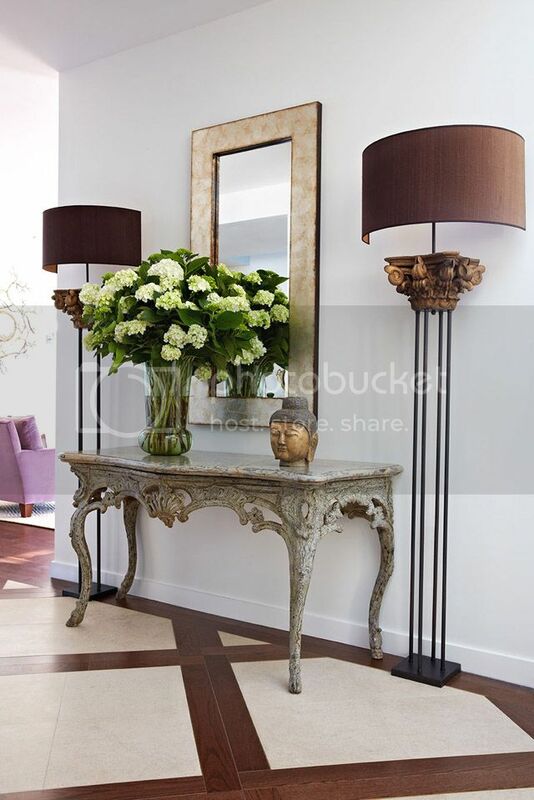 Love the last vignette and those amazing lamps !! Thanks for the beautiful pictures ! All the rooms are gorgeous!!! This Phyton table is awesome!!! 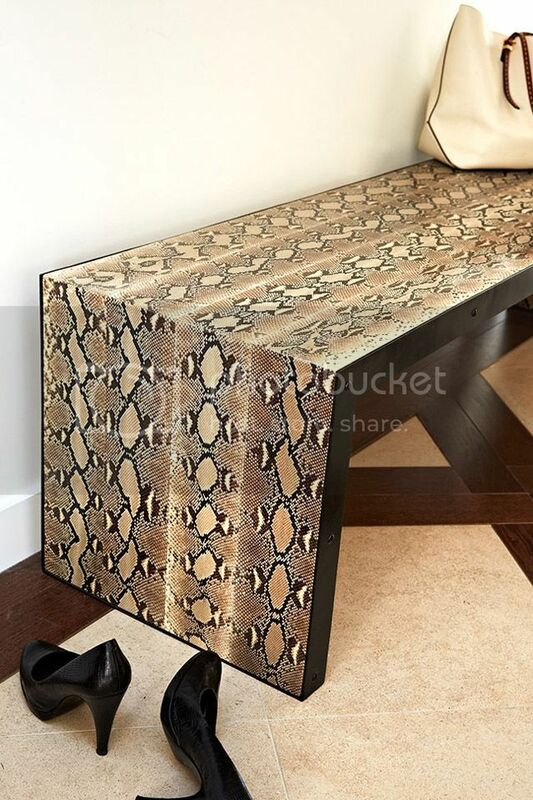 I saw one Phyton table By Koket that I am in love with!!! And this first chandelier is wow!!!! I’m new to your “dissecting the details” posts, but what a great idea, Nancy! I’ve always been the kind of person that likes symmetry, and I’m excited to see it in Anne’s design. I like how she creates symmetry with chairs, and even the two tables on either side of the doorway. A great concept. Can we also pause for a minute, and just admire how beautiful her flooring choices are? Amazing! Love the post!